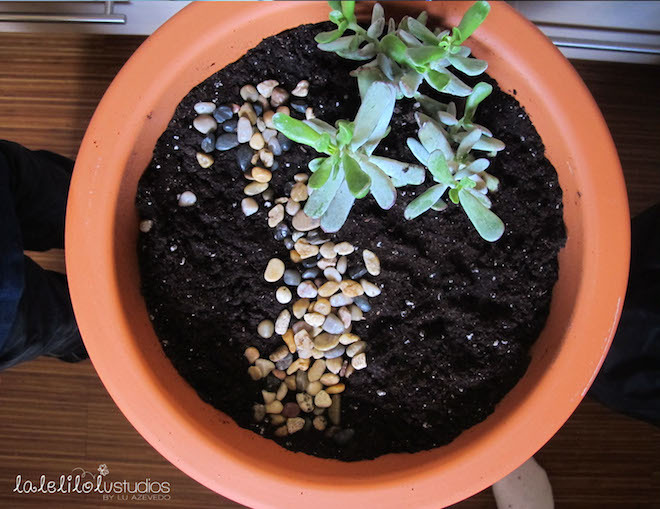 My son has been asking me to build a Fairy Garden for months. 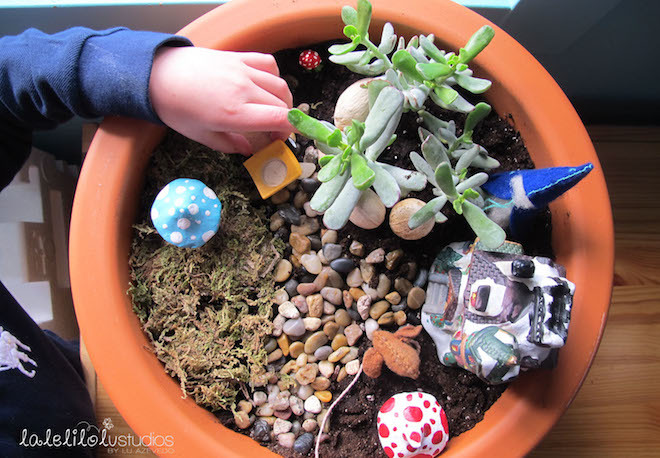 He goes to a school where Fairy Gardens are becoming very popular and many of this friends (boys and girls) have one at home. 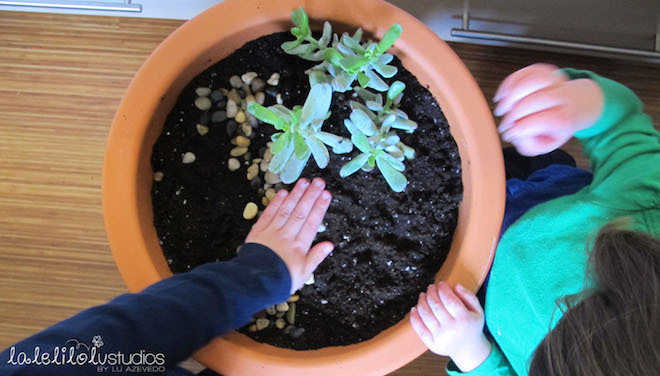 Now that the spring has come, we decided to start one! 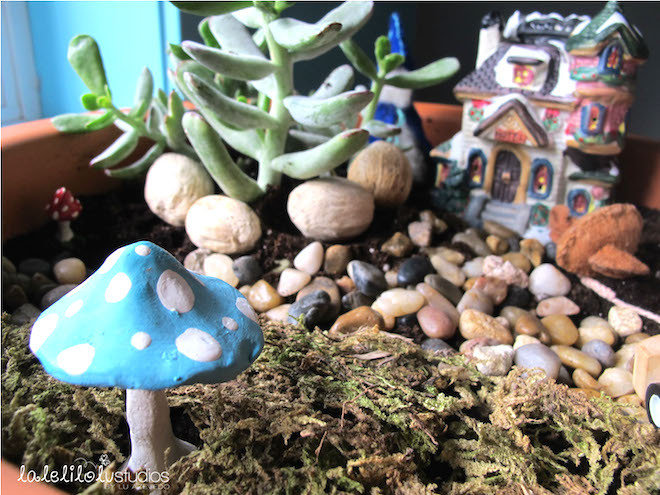 These gardens are whimsical miniature landscapes, built to attract little elusive and magical fairies to our home and garden. 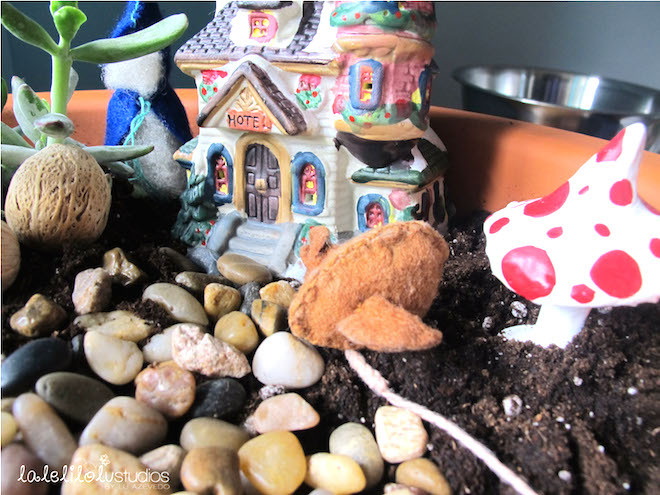 You can add little accessories such as pebbles, plants, mushrooms, a fence, a bench, and a path that leads to a house where the fairy can come in and rest over the night. Every children loves stories like that, which play an important role on building up their imagination. 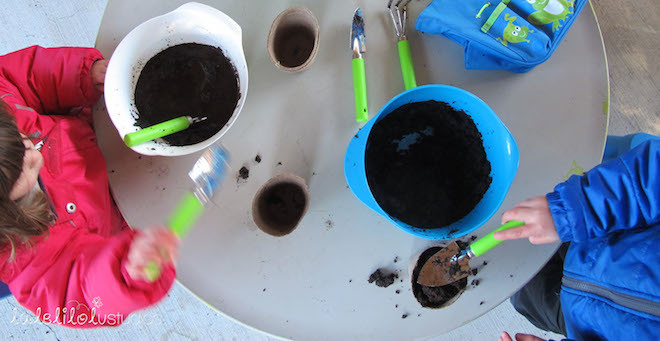 So, my kids and I spent a whole morning gardening! 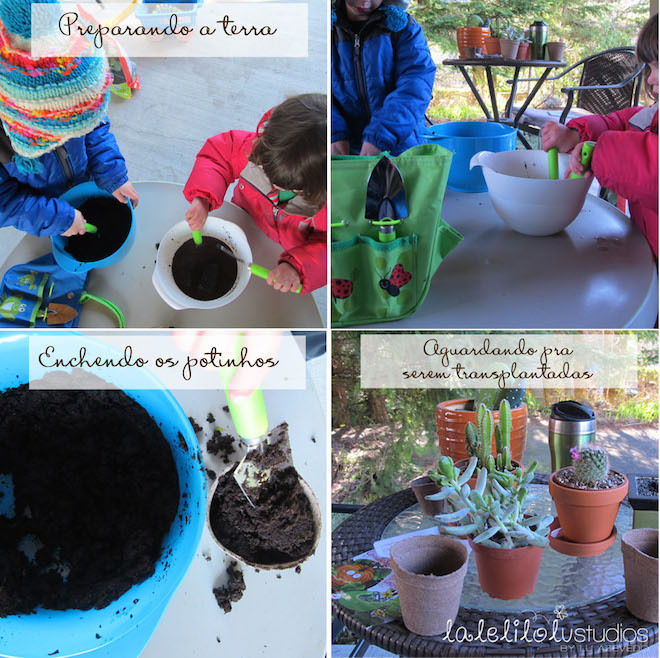 Together, we prepared the soil, filled up small pots to plant the seeds of plants we want to use in the next weeks and transplanted the suculenta we already had to the main pot where we were going to build the garden. 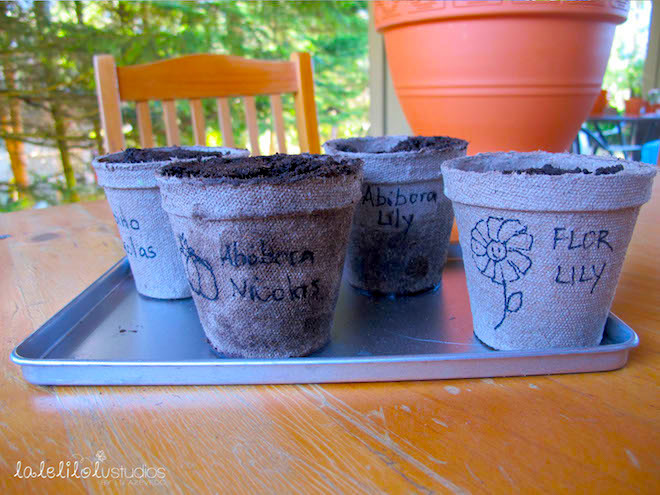 Nicolas and Lily planted two kinds of seeds each. Hopefully they will all grow big! 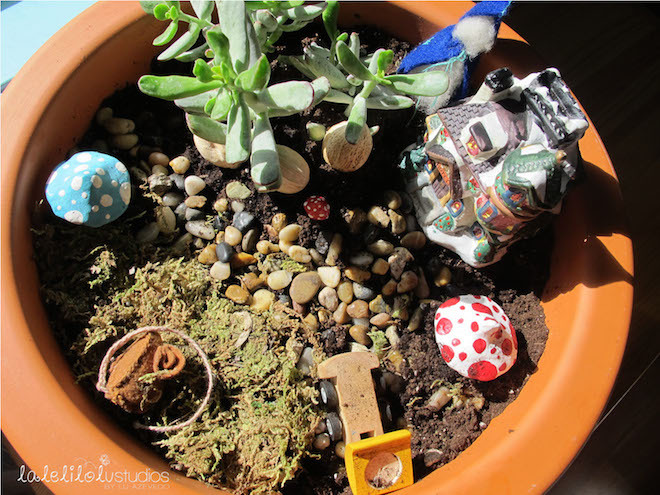 As this is our first Fairy Garden, I bought a small pot and just a few supplies, but most of all, I tried to use things we already had at home. I wanted it to be simple and to allow the kids to play with. 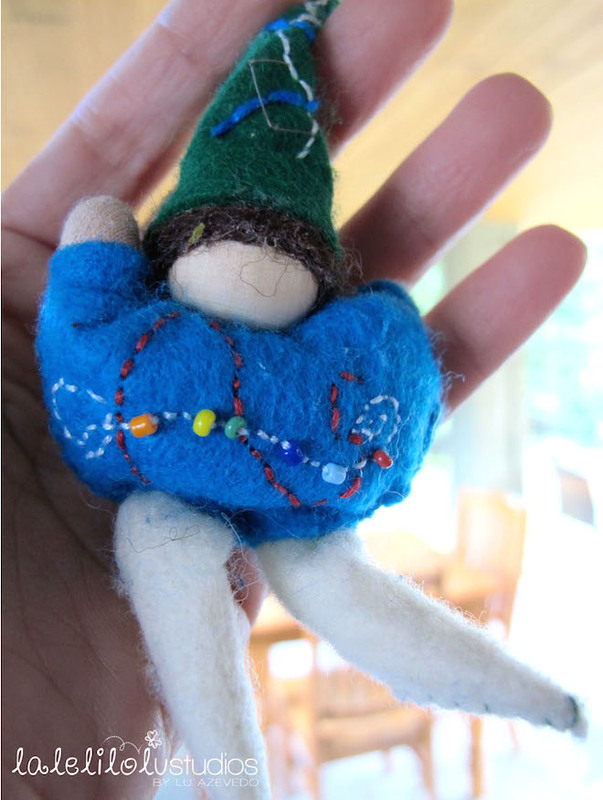 So, I used our homemade little gnomes and mouse, cute mushrooms I had decoration my desk and a hotel we bought last Christmas. My son played a lot, rearranged the layout a little bit and imagined incredible stories. 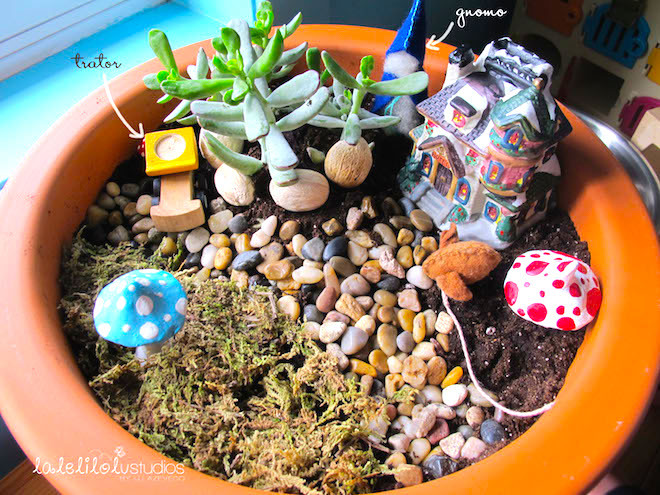 If you want see more ideas for Fairy Gardens, I just put together a very cute collection on a board on Pinterest.